My first day of teaching, ever, I remember reading a picture book to my sixth graders. Ten years later I see the importance of it - showing your students exactly how important reading is to them - but at the time, that was not my intention. The past four years I would gather my seventh or eighth graders on the carpet in the center of my classroom and I would read to them. Yes, I make them come sit on the floor with me even though they were a little uneasy about it. Perhaps you're thinking it's not very age appropriate, but that was the ritual I wanted to begin, starting on day one. 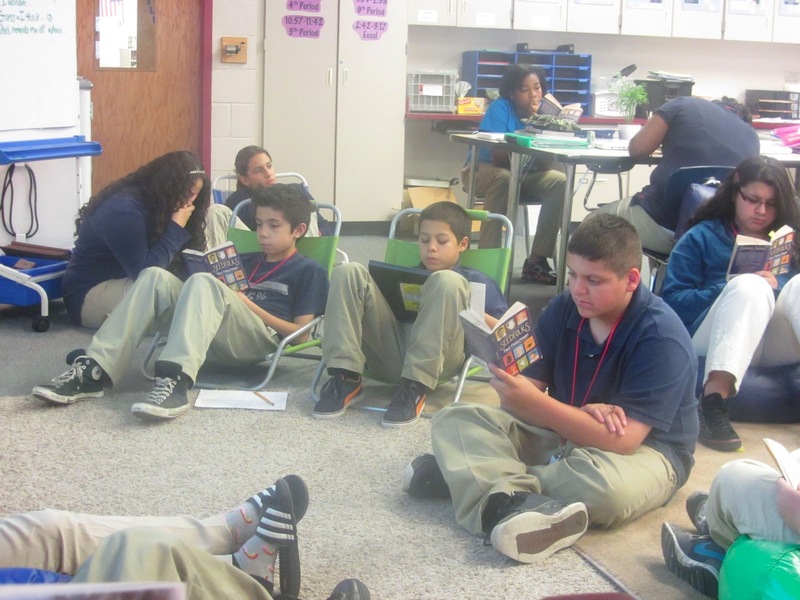 I knew that as we moved forward with reading workshop they would be relaxing on the floor or in the chairs reading great books, so I wanted them to get in the habit right away. 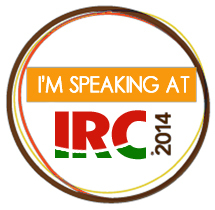 Shortly after the first day....shared text altogether in our meeting space. Eventually they tell me, "It was so weird in the beginning....but we love our classroom!" 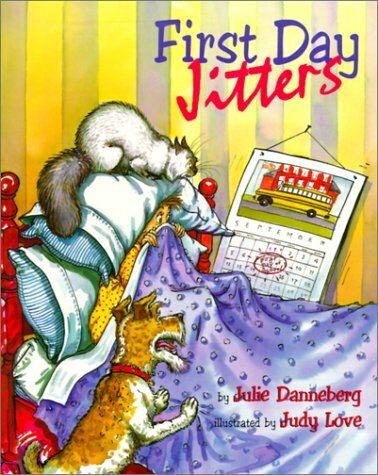 My favorite first day read aloud is First Day Jitters by Julie Danneberg. It's about someone who is so nervous about going to school the first day, and then when you get to the end, you see it's the teacher, on her first day of school. The kids never really expect the ending, and that's what I love about it! 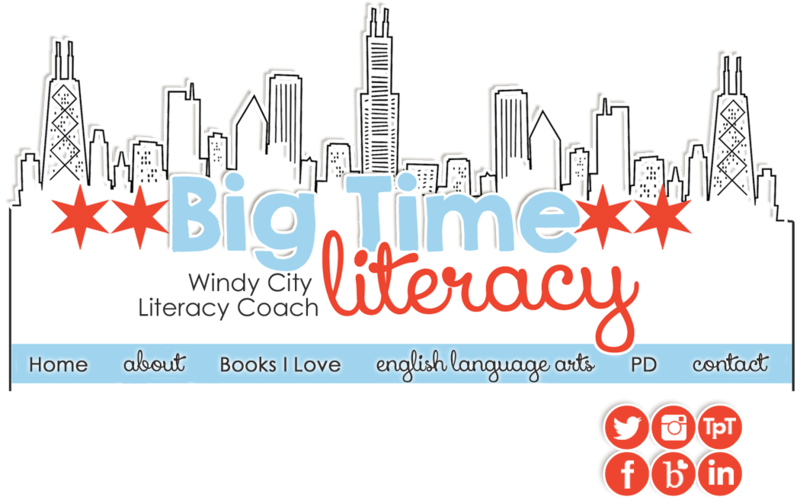 I highly recommend finding a great book or short story to share with your kiddos on day one! On the first day, I try my best to take a picture of all the kids in my homeroom. I had a great teacher in graduate school who said she would learn all of our names the first day, and she accomplished this with pictures. I think this sends an important message to kids that you care about them: finding out their name, if they have a nickname they preferred to be called, and even learning how to say it just right. 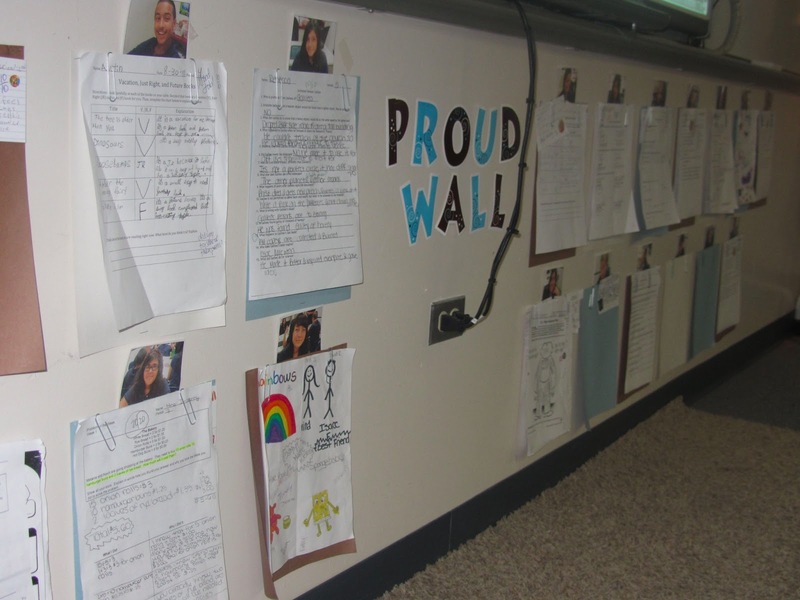 Later on, these pictures go up on my "Proud Wall" where each student has a space to showcase work of their choice. The kids love to see how much they've changed with these pictures - especially when you loop with them. 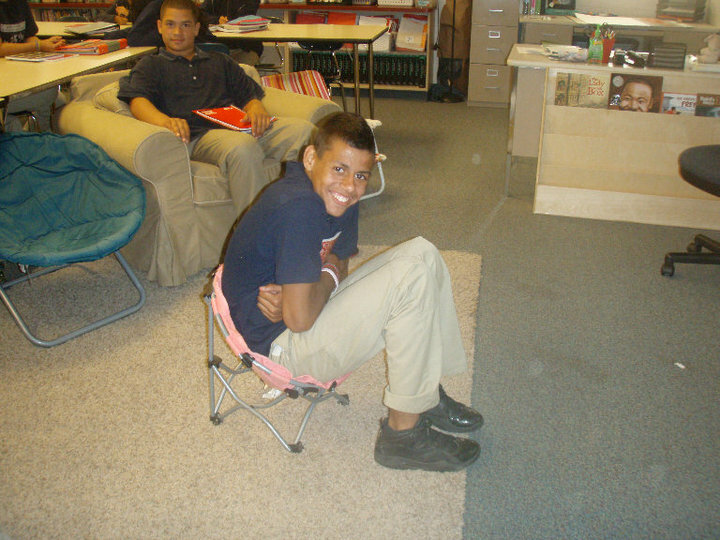 The growing up that happens in seventh and eight grade is awesome! 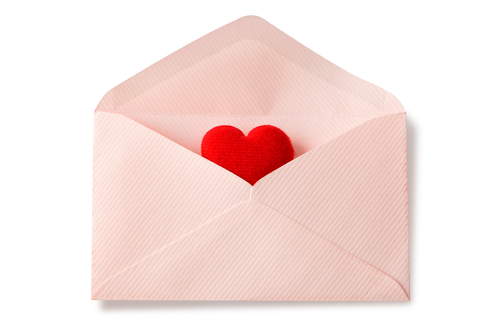 Another ritual I get students acquainted with right away is letter writing. On the first day, I have a letter prepared for students that I wrote to them - everyone get the same letter for this one - but it just tells them about myself and then at the end it asks them to write a letter back to me. I get a bunch of stationary from the dollar store and let them pick one for this assignment. Not only does it give them an opportunity to introduce themselves to me personally, it's also a great way to see what kind of writers you have on your hands. Letter writing continues throughout the school year when we write letters about the books we read and then at the end of the year, I always write students an individual letter and they have to then write one last one back to me for their final assignment. 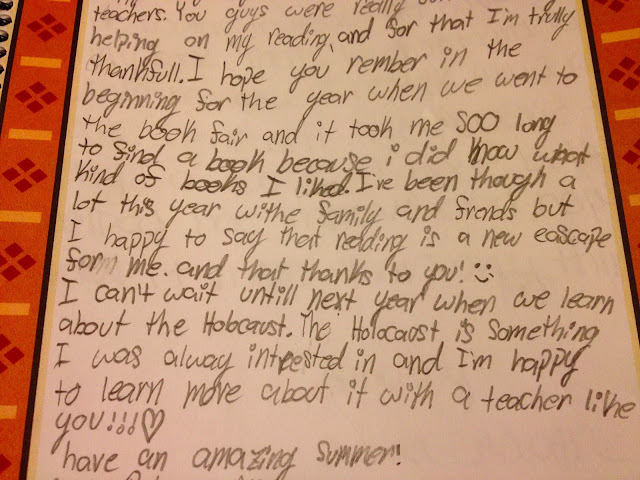 I LOVE getting these "love letters" back from them - I bind them each year into a book that I keep on my shelf. When I'm having a bad day, it's a great place to look for a little sunshine! At the end of each week, my homeroom meets for the last 10 minutes of school on Friday in a circle on the carpet. We do appreciations and high-low. Obviously appreciations are just who and what they appreciate. High - low is from my good friend, Katie, and kids just share the high of their week and their low. Again, you might be thinking that it's crazy for seventh and eight graders do this, sitting on the floor in a circle and all, but after they get used to the idea, they ask for it. If you're going to do this, I recommend having a stuffed animal or ball of some sort that they can pass around so they know whose turn it is to talk. After two years, we really had become a family and they always talked over one another - in a playful way, but they need to know how to listen as well as share. Some kids will always just listen, and that's okay. Some kids will want to share 5 times. If there are a lot of kids who want to share, I will tell the kids who want to talk the most they only get to share two or three times so everyone has a chance. 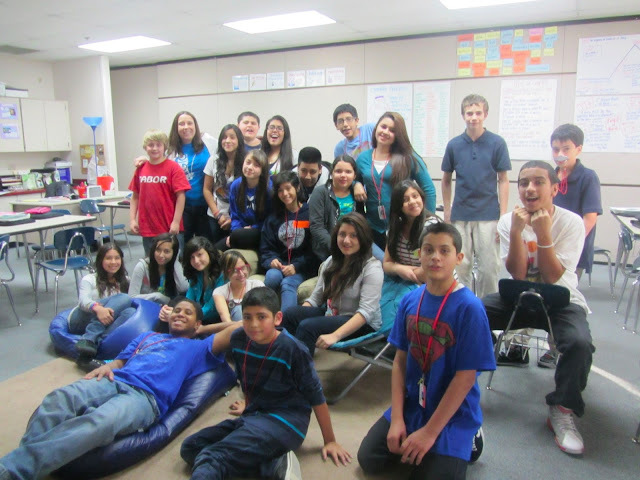 I believe that this circle time was what really brought my homeroom together. Towards the end of our two years, I had kids resolve problems and apologize to one another during this time. And celebrating what is working for them throughout the week is the best way to wrap up another week together! What rituals will you put in place in the upcoming school year? 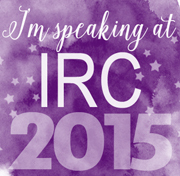 Please share your ideas with me!